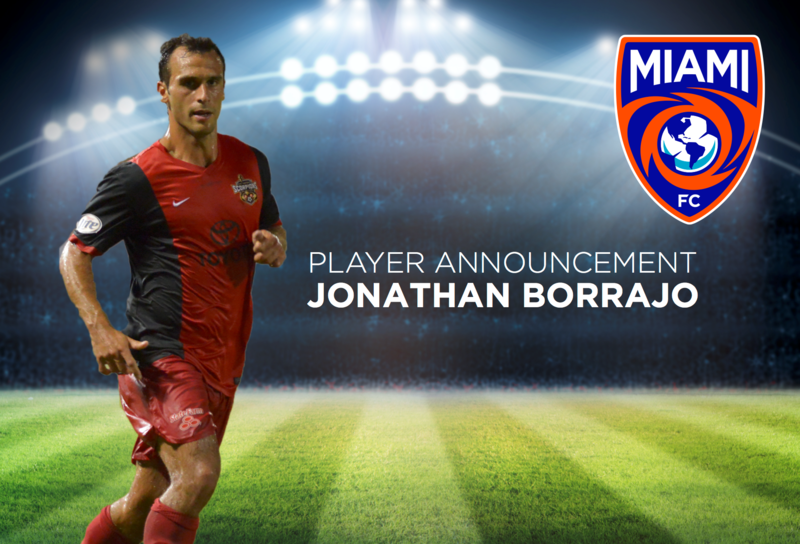 Miami, FL (January 8, 2016) – Miami FC has announced that New Jersey native and North American Soccer League (NASL) veteran Jonathan Borrajo will be playing for the soccer club in its inaugural season. Borrajo began his professional career in 2009 when he signed with PDL side Real Maryland Monarchs. Shortly after, he went abroad and signed with HamKam in Norway. In only his first season with HamKam, Borrajo helped the team move up to the Norwegian First Division. In 2011, during his second season with the club, he helped achieve a sixth place finish while starting in 27 matches and notching 10 assists. After a brief period with the MLS side New York Red Bulls, Borrajo made a return to the Norwegian First Division in 2013 and signed with Mjøndalen IF. During his time with Mjøndalen IF, Borrajo assisted the club in obtaining a fourth place finish as he appeared in 31 matches and contributed 10 assists. In 2014, Borrajo began his career with the NASL and signed with the San Antonio Scorpions where he and his teammates won the Fall Season Championship and were eventually crowned 2014 NASL Champions. The following year, Borrajo was traded by San Antonio to the Fort Lauderdale Strikers where he appeared in 13 matches and made it to the semi-finals of the NASL Championship.